Next we had sprouted protein bread with avocado, cucumber slices, & basil. The cucumber slices and the basil smelled so fresh, almost like summer. It was a nice change to the heavier, warm foods we have been eating for a while now. Questions: How do you "balance out" your meals? Do you sometimes feel like something "fresh" after eating a lot of cooked foods? And, it's the final day of our flossing challenge! So you sure flossed today, right? That's exactly how I'm feeling this morning, like I need something FRESH! I feel so heavy (and am heavier!) after all the delicious, rich, heavy, cooked foods of Thanksgiving. I think a banana and a few clementines will compliment my coffee this morning! Oh yes, after I'm on vacation and eat out a lot, even if their healthy meals, I just crave something fresh, simple and homemade! I'm not going to stop flossing, even after November! You've got me started on a new habit that I won't let die. Thanks! I love the sound of that sprouted bread, it sounds so amazing. Can you believe I've never even tried sprouted bread? I haven't even had a good persimmon yet, not after my awful first experience :( I need to get one soon before they are out of season! After the Thanksgiving feasting, all I was craving was a big, fresh salad! I have been tackling the greens, cooked or not. Every time I feel heavy and full from foods I go back to produce. especially greens. They just seem to reset the clock so to speak. you are lucky indeed to have a friend with a persimmon tree AND a lemon tree! I have a (baby) lemon tree so hopefully soon. We are planning on planting an avocado tree soon too! I like to balance out heavier foods with lighter / greener foods too! 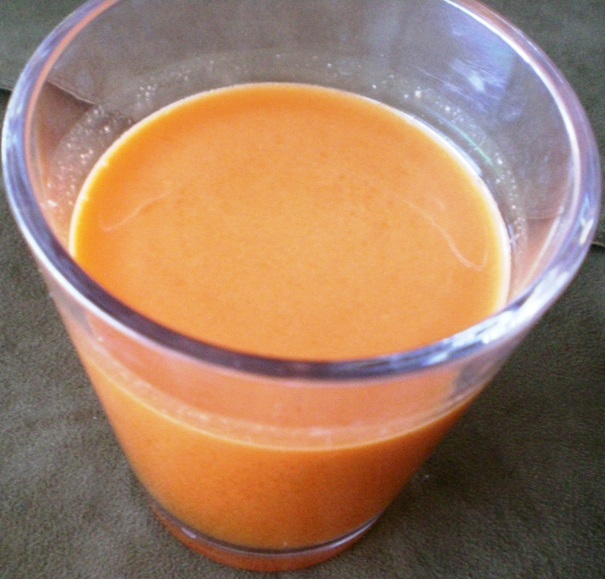 That juice looks really delicious - can you believe I've never tried persimmons? So jealous that you have a friend with a persimmon and lemon tree! I've actually never tried a persimmon before. After a day or two of indugling I always crave lots of greens and veggies! You're pics are salways so colorful. To balance my meals I think about what I am planning, what I am missing and then I plan to fill in the blank. My dinners are always a grain, protein and a veggie. I usually plan on fruits with lunch. I see you were awarded my Atta Girl Award by another blogger. (Diane @ fit to the finish) Congratulations. I do have to ask that you link my Atta Girl award back to my site as I created it and have explained the use of it on my site. I am so wanting one of those sandwiches! We felt the same and bought every fresh fruit we could get our hands on. 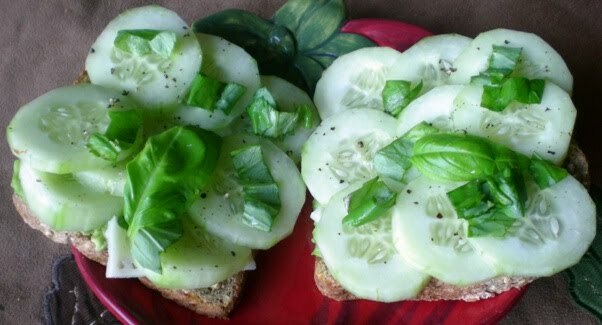 Your cucumber sandwich looks delightful! I always feel like I have to balance out my foods with some type of fruit or vegetable. Sometimes, I do a one-dish type of meal and I still feel like it "needs" something on the side! ooohhh this all looks so fresh and delicious - just what the body needs after a weekend of indulging. FYI: doing a flossing recap tonight! have a wonderful week dear andrea! i definitely need something fresh after lots of indulging! i have never paired basil with cukes but i love the thought of that combo. hope your monday is going great andrea! A friend with a lemon tree...jealous. A friend with a persimmon tree...sooo jealous! That's awesome! And I love carrot juice, so that juice sounds amazing. I'm definitely big on smoothies and juices the day after a huge meal. This juice looks delicious. I've never had persimmons, but keep passing them at the markets and telling myself to buy them to try them out! Gorgeous! I am a big eating fresh clean believer after days of indulging.. specially after this Thanksgiving. I love a fresh glass of juice in the AM and nice crisp salad with lime juice for lunch. The color of the juice is gorgeous! I'm ready to start eating lighter meals now that Thanksgiving leftovers are almost gone. I try to balance it out but eating smaller portions that I did over the weekend. Plus cut down on my meat in take again. Though, I'm not much of a meat eater regularly anyway. And increase the veggies. I love juice blends -- a local juice bar here does one that includes carrot juice and ginger (very yummy, and sort of like your soup). And, to answer your question, I do like to have some fresh (uncooked) fruits or veggies each day -- it does feel like a matter of balance to me.